The Tri-Angular Loop tealight holder by Black + Blum is the perfect complement to the Loop candlestick holder, which is an eye-catcher on any table thanks to its playful curves. Unlike the candlestick holder howerver, the Tri-Angular Loop tealight holder by Black + Blum is characterised by angular, edgy shapes that stylishly display the tealight and makes it appear as if it is floating. 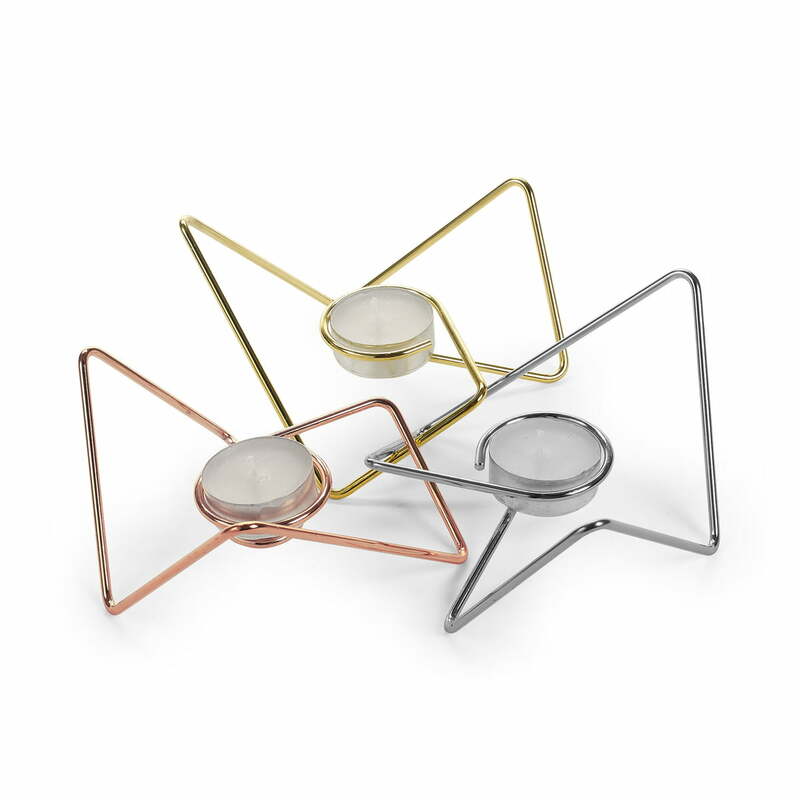 The Tri-Angular loop tealight holder is made from steel with a chrome, brass or gold finish. They are available in a set of three, all in the same finish or in a combination of all three finishes. Both alone as well as a together, the tealight holders are eye-catchers on any dining table, shelf, or sideboard and ensure a comfortable atmosphere with candles. 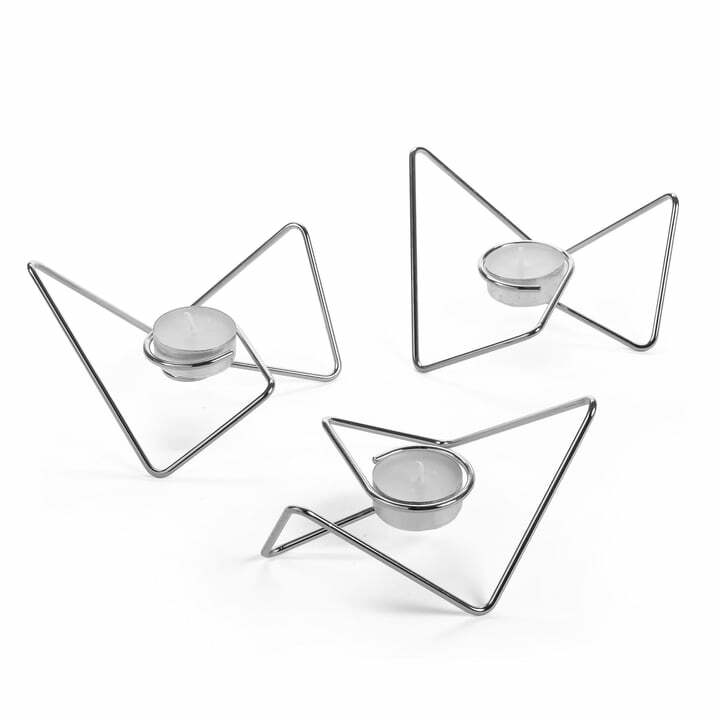 The tealight holders are rectangular, slightly pointed shapes, which bring the tea light in the middle to levitate and this will put in scene this stylish. The Tri-Angular Loop tealight holder by Black + Blum is the perfect complement to the Loop candlestick holder, which is an eye-catcher on any table thanks to its playful curves.